A very simple One Page portfolio scrolling concept that is pulled off really well and feels ultra smooth – F A A L is and Istanbul based design studio. 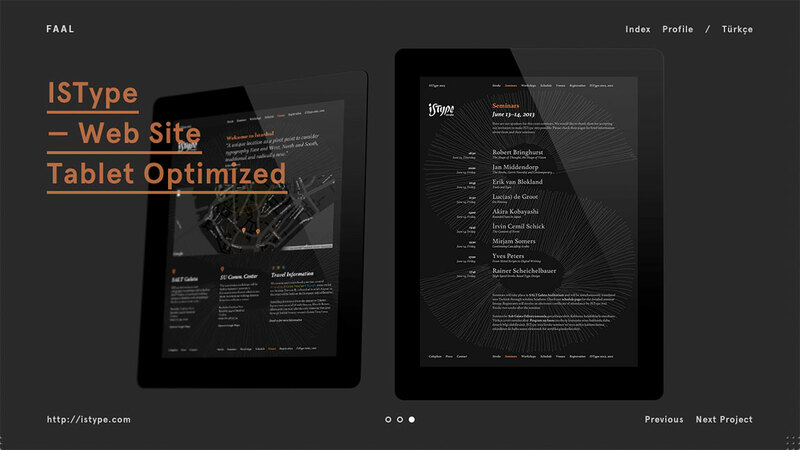 Its portfolio website is built with two layers of information. Horizontally scrollable layer consists of project images and the fixed positioned HUD layer has project and site navigation and information about the currently scrolled project. Screen based projects are presented within proportionally recognizable and extremely simplified "Screen Slabs". Each project has its accent color which also is used through site navigation.